Exquisite gold and silver jewelry, gemstones such as diamonds, sapphires, and emeralds set in gold are all available in Bermuda. There are also unusual and rare gold and silver coins recovered from treasures found on the sea-bed and shipwrecks, and mounted in gold to be worn as pendants or brooches. These magnificent treasure coins that were hand struck and trimmed during the 1500s through 1700s in Spanish mints are quite unique to Bermuda. There are also several other types of jewelry that are unique and island themed like the those made with colorful sea glasses picked up from the beaches. Crisson Jewelers in Bermuda has been maintaining traditional value and quality of jewelry since 1922. The shopping atmosphere here is quite relaxed and intimate. The shop includes large collections of jewelry and watches. Crisson is not only known for its own authentic jewelry, they also source from famous designers including David Yurman, Roberto Coin, Marco Bicego, Picchiotti, John Hardy, Kabana, Pandora and others. Crisson has the largest collection of diamonds in the island and with exquisite cuts. Their collections include those from Canadia, A Jaffe and Cento. Crisson is also well known for timepieces. The shop has a comprehensive range of watches from makes such as Rolex, Tag Heuer, Ebel, Movado, Tudor etc. The shop also has brands like Seiko, Swiss Army, Citizen, Casio, ESQ etc. 55 Front Street, Hamilton City. This is the main store. Clocktower Mall, Royal Naval Dockyard. Ms. Kelly Diel has a Sea Glass jewelry store in Somer's Wharf Complex in St. George's. She is a beachcomber herself and every Sunday she would set out for either Alexandra Battery beach in St George's or a private beach to make her collections. And then every piece would be handcrafted into a beautiful piece of jewelry, ornament or a decorative item. You can get exquisite sea glass jewelry like pendants, ear rings etc at her shop all hand made by her. Typical price of ear rings would be $40 and pendants $45. However pendants with rare sea glasses (like orange, cobalt blue etc) could cost $125 each. You will also get necklaces and charms made of sea glasses. If you make your own sea glass collection in Bermuda, you can take it to her and she can make a beautiful pendant out of that. She uses sterling silver wire and 14-karat gold-filled wire while making the sea glass jewelry. Imported Austrian crystals and lotus pearls from Japan are also sometimes added. Kelly also makes several other items with sea glasses like Christmas tree ornaments wrapped with ribbons & beads. Address: Somers Wharf Complex, Unit 3, 16 Water Street, St George's, Bermuda. Walker Christopher Goldsmiths shop: Here you will find Bermuda's some of the finest and unique jewelry. Jewelry designs are generally based on diamonds and Sea pearls. It also has an excellent collection of authentic coins: Gold doubloons, Greek and Roman coins dating to 350 BC. These coins are mounted in pendants, earrings and cufflinks etc. Vera P. Card shop is well known in Bermuda for its rich collection of jewelry, watches, figurines, crystal, clocks and gifts from around the world at duty-free prices. The shop has the largest collection of Lladró, M.I. Hummel and Nao-by-Lladró and Swarovski silver crystals. The jewelry collection emphasizes on unusual, high value guaranteed stones and gem sets. There is also a wide collection of beautiful gemstone globes. A.S. Cooper & Sons department stores are popular as discount shops in Bermuda. The unique Bermudian pieces they make from the sea are colorful shells. They have fine jewelry with precious diamonds and semiprecious stones in gold and silver. The shop includes accessories for ladies from Ralph Lauren, Anne Klein, Liz Claiborne, Michael Kors, DKNY Jeans, Calvin Klein, Jones New York at U.S. prices. Hours: Mon - Sat 10am to 6pm, up to 5pm on Sundays. During Harbor Nights in summer, the Front Street stores are open until 9:30pm. Alexandra Mosher Studio Jewelry is a boutique store and studio located at the Washington Mall in Reid Street, Hamilton City. Alexandra is an award winning designer who creates excellent sterling silver rings, pendants, bracelets and earrings using coral pink sand she fetches from the south shore beaches of the island. You can often see her making the pieces in the studio. Her designs are mostly inspired by the scenic beauty of the island. Open Hours: Monday through Saturday from 9:30am - 5:30pm. Astwood Dickinson has an outstanding reputation for bringing the world's finest jewelry and watches to Bermuda. They are the oldest jeweler in the island. Makes of Tiffany & Co., Judith Ripka, Hearts on Fire and Baccarat jewelry are all available here. The Original Bermuda collection, designed and manufactured by goldsmiths are also available here. Their jewelry is mainly of 18kt gold. Astwood Dickinson's watch department is very exclusive. Some of the best makes like Patek Philippe, Jaeger LeCoultre, Cartier, Omega, Mont Blanc, and Gucci are available in this shop. Here you will find Bermuda collection, plus DKNY and Fossil watches. Main Store: 83-85 Front Street, Hamilton. Tel: 441/292-5805. Branch Boutique: Walker Arcade, Front Street, Hamilton City. Update June 2015: After 111 years of operation in the same place, Astwood Dickinson is now moving their store to a new location on Front Street. It's more on the western side of the street and near the Ferry Terminal. New address is Orbis building, 25 Front Street, Hamilton City. The Shop Lusso is in the heart of Hamilton. The shop is popular for stylish shoes, designer handbags and accessory shopping in Bermuda. It also has exclusive collections of leather goods from Europe's leading designers and keeps silk ties, scarves, sunglasses, wallets and other great gift items. The prices of the goods here are in general less than in the USA. CL Wire-art Jewelry is a retail shop and studio featuring one-of-a-kind quality jewelry created by local artist Christa Leduc. She uses sea glass, shells, Bermuda coins and gemstones for making jewelry items like pendants, bracelets, anklets, necklaces, earrings etc. UPDATE: CL Wire-Art Jewelry no longer operates out of the Clocktower Mall in dockyard. They however have a website and continue to sell the jewelry online through their website. 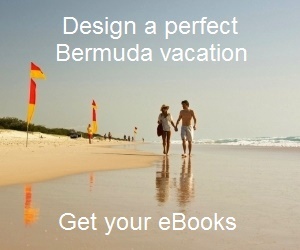 1) Check out Bermuda Shopping to know all about shopping in Bermuda and the best stores.